Let’s celebrate your wedding anniversary with Anniversary card photo frames ! Frame your romantic moments with the love of your life in beautiful romantic frames and make them more special with Creative photo frame Maker freeware app by DRPU Software. Free Application has wonderful collection of frames that will beautify your Photos with different designs and frame settings. You can print your photo with frame using advanced print setting option and also send via email to the specified email ID. Freeware 'All in One Photo Frame Maker' App to Apply Any Other Type of Photo Frame on Your Photos. Batch Processing Series feature to create and print multiple copies of anniversary photo with frame with different photos and text value. Image setting option to adjust image brightness, sharpness, blurness, saturation, hue, contrast, rotate etc. Camera option is available to capture photo and add photo frame. Freeware app is having email-settings option to send decorated photo of couple with anniversary photo frame to specified email ids. Using advanced print-settings you can print your anniversary photo with frame. 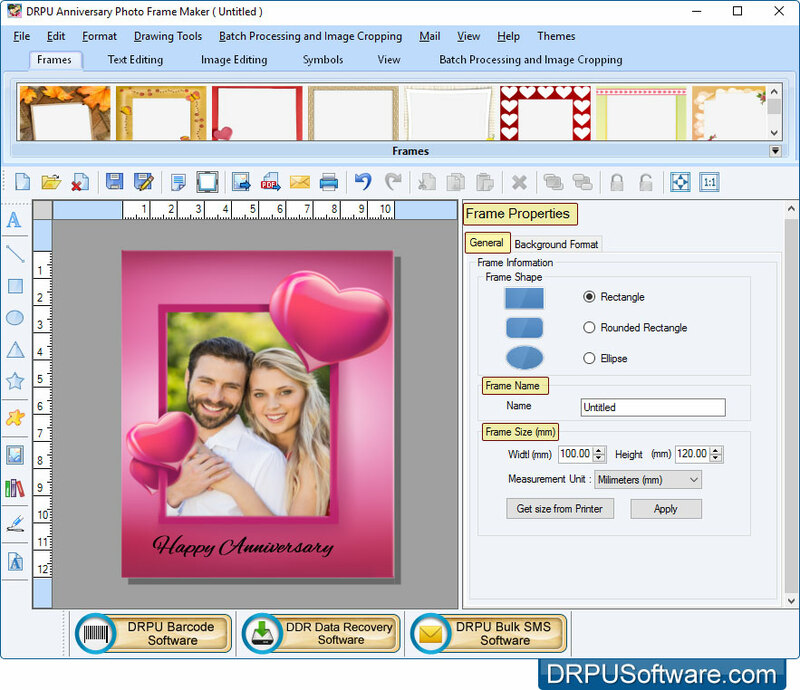 Save your anniversary photo with frame in various file formats such as JPEG, PNG, TIFF, Bitmap, GIF and PDF. If you want to crop your image according to your photo frame, then you can use 'Image Cropping Tool'. Select any one option either 'Start by using Wizard' or 'Open with existing Frame Log. Choose Anniversary Photo Frame according to your choice and Proceed to 'Next'. 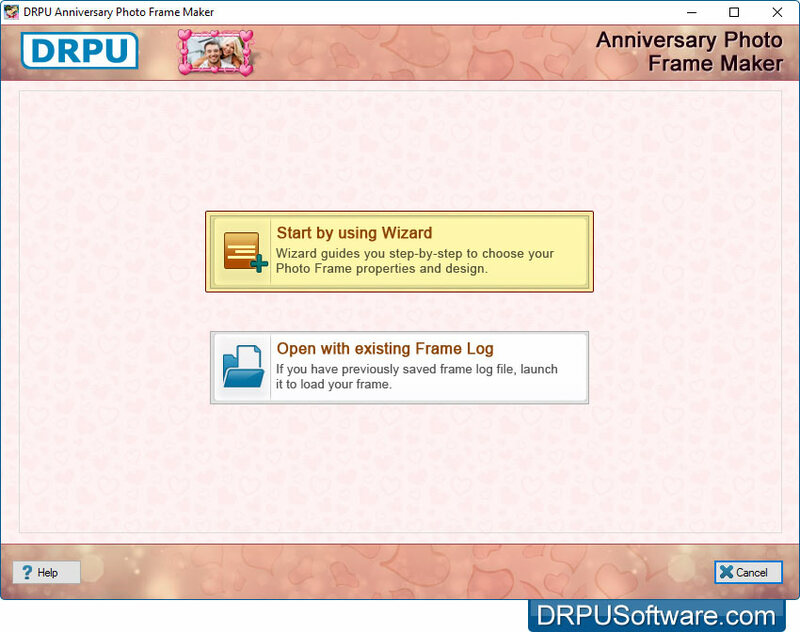 You can capture photo using inbuilt camera or you can also browse photo to which you want to add anniversary photo frame. You can adjust Sharpness, Brightness, Contrast etc. using Image Settings. Here, you can adjust frame settings including frame size (width and height) and frame background. To print designed photo with frame, set all print settings and click on 'Print' button.